An estate agency analyst has shared with Estate Agent Today his findings on the current and recent conversion rates of online agencies. Andrew Stanton, who worked in traditional agency for over 30 years, now runs a consultancy called Estate Agency Insights and Strategies. He says that out of some 1.5m homes marketed in the past 12 months, only 100,000 were handled by online agencies. “Although the media loves to talk about cheap fees and online agents, in fact the general public are using the traditional approach” he adds. Doorsteps - 2,054 properties listed, 1,321 for sale, 733 under offer not exchanged, 28% conversion of listed to sold subject to contract. Yopa - 5,501 properties listed, 3,539 for sale, 1,962 under offer not exchanged, 35% conversion rate. 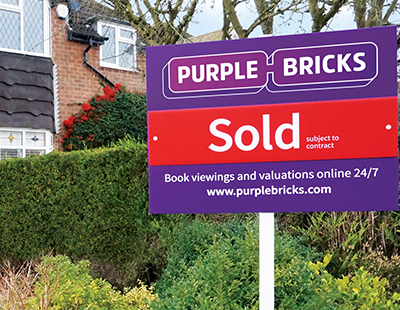 Purplebricks - 37,531 properties listed, 21,142 for sale, 16,389 under offer, 43% conversion rate. Emoov - 2,504 properties listed, 1,696 for sale, 808 under offer, 32% conversion rate. Tepilo (owned by Emoov) - 1,740 properties listed, 1,162 for sale, 587 under offer, 33% conversion rate. HouseSimple - 1,140 properties listed, 763 for sale, 341 under offer, 30% conversion rate. Stanton says that most of the online agents charge either an up-front fee or a fee payable in a period of time, typically up to 10 months. “So at the conversion rate of ‘for sale to sold’ I think there are a lot of clients who have paid for a service 'getting sold' which they never achieve” he claims. Stanton also queries the fundamentals of some agencies. “The bottom line is always the bottom line, so for instance Doorsteps sell your home for £99. If you have 2,054 clients at £99 paid upfront that is £203,346 income, and that will not cover the costs of running that company - if it did they would not keep getting a new round of fundraising” he says. 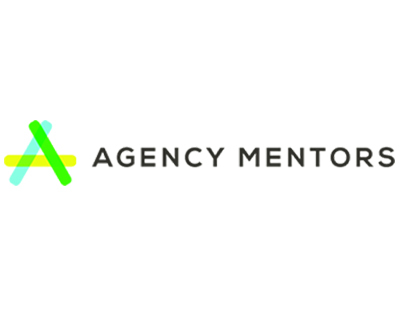 Stanton previously ran his own agency and worked at Sequence and Blackhorse agencies before setting up Estate Agency Insights and Strategies, which assists agencies grow their business. The 'market snapshot' seems a bit shoddy. So, he's working out a conversion rate based purely on what's visible on a single day? So those stats include properties that may have only just been listed? Hardly the statistical certainty you'd expect from an 'Insights and Strategies' company. For transparency and so the figures actually have meaning, we presume Andrew will also be providing a similar insight for the big traditional agents? Everything is a bit shoddy, but I do not feel that this data is misleading, as 95%of estate agents list on RM, any skew will be very small, as most agents leave their 'sold' stock on the site for as long as possible. number of properties actually exchanged in that period. The ratio will be 100 listed, 72 had agreed sales, 30% fell through giving just under 50 sales exchanging. So list 10, and sell 7 subject to contract, and exchange on roughly 5. So conversion rate 48%. Have a look and tell me what you find (not the actual figures) - but the conversion rate, then look at your own listings on rightmove do they mirror your own conversion rate of listed to exchanged in last 12-months? I think they will. And I think that is why the online conversions are a true reflection of what they actually sell, which given they get fees upfront regardless might not be fair to vendors who could be using a no sale no fee model. Thoughts? So I fully embrace that traditional agents only sell about 50% of their stock, but they only charge the owners who get to complete. Thank you for taking the time to make a comment and read the piece. Customer Churn, traditional "success based" agents have a higher natural churn in many cases. The reason is that if as a seller you have paid a grand to buy an advert with PB, you will keep the listing live under almost any circumstances...... as success based agents know at this time of year... its not uncommon to see your stock level dip, as owners remove their unsold properties for the winter, as in many cases they have no financial skin in the game. This is a natural seasonal ebb and flow of instructions... the company that sells ads with bells and whistles attached, dont suffer it in the same way. Or sellers switching away to another agency .. why would you if you had paid a grand up front. This fact also helps to over inflate the popularity of advertising models when trying to compare "success based" agents. You might think x000 customers love the advertising model, the reality is that many of them are financially commited whether that are happy or not and wont switch for that reason. Lastly, I will say to EAT again. Please stop refering to the advertising model of PB as agency. Its not, its advertising sales. Both have their place in the market... but the distinction is important to make. Venture capitalists trying to Bully the other on line Agents. Come on High Street Agents get your team ready for the challenge in 2019 where we close these so called On Line Agents DOWN. I’m not sure I follow the maths , right now in a monthly snapshot the 6 online firms listed out of around 100-200 brands have around 25,000 sales agreed . How are we getting to 100,000 in a year ? 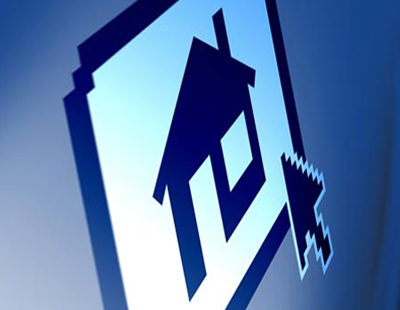 The 100,000 is the amount of properties listed by online agents in a year, not sold. So as Rightmove is snapshot of typically 6 months, if you add up the big six (those who list more than 1,000 a year) and double it to give a 12 month total, then add all the minor players who are online agents - that gets you to 100,000 instructions collectively. If you look at all High St agents using the same model the figures are the same. BUT if you deleted all properties from Rightmove and only had live ones it would look like you sell 0% - very flawed argument. These seem to have been derived simply by comparing available vs sstc on Rightmove. Some agencies remove property from portals on exchange of contracts (we do), some on completion, and many leave them there for the full 6 months until they are automatically removed by Rightmove. If that is the basis of their data this massively inaccurate and misleading, and I feel you have a responsibility to make this clear. Data is data, and I do not feel that this data is misleading. Yes some agents do delist properties on exchange or on completion and many wait for Rightmove to take them off the site. But with such a huge amount of data - 95% of estate agents list on RM, any skew will be very small, as most agents leave their 'sold' stock on the site for as long as possible. On the conversion rate of sold to for sale, I suggest if you have access to figures for a traditional agent you look at: - number of properties listed in last 12 months from today, number of agreed sales in that period, number of properties actually exchanged in that period. The ratio will be 100 listed, 72 had agreed sales, 30% fell through giving just under 50 sales exchanging. So list 10, sell stc 7, exchange on roughly 5. So conversion rate 48%. No online agent has made any money - they generate cash, but not profit, in last 4 years Purplebricks has announced collective loses of 47M. Despite selling 12.%% of itself for 125M this year. Their balance sheet though is awash with money. Unlike the final accounts of Tepilo which were a horror show, and that company has been trading many years so is a mature business. Now merged with E-moov it will be interesting to see what happens next. Then there is Yopa, which has a strong cashflow, but if you deducted the tens of millions that has been poured into it, like Housesimple, you would say that the future is not one dominated by online only agents. I think online agents will populate about 10% of the housing market, that is because about 10% of vendors are looking for a cheap fee, so there will always be a market for this type of agency. Regarding investors looking at figures, I do not think they ever do, for example Doorsteps, valued itself at nearly 10M before it ever traded a penny, and when it looked to sell less than a 5% share of itself on Crowdcube, it raised just under 400K in a few weeks, and then a year later it raised another 800K plus in a second round of crowdfunding. So over 1M of investment capital. But if you look at the annual accounts on companies house how much profit have they made and how much of the money they have been handed is still left? This means that the shareholders will not get a dividend so no return on their capital. Identical to Purplebricks - no dividend over the past 4 years. Like all these ideas of. Let's make money from Property. PB came on the scene. High Street Agencies are better now than 2 years ago. Keep up the good work High Street guys. Seen these PB and the rest come and go. Bye bye PB and your unprofessional tactics.